13 mins, Argentina. The Twin brothers Efrain and Jose are both medics. Where the one is an obstetrician, helping bring babies to the world, the other is a forensic doctor, examining corpses who were victims of violent crimes. A film about identity and extremes, that raises questions about life and death. He studies Image and Sound Design at the University of Buenos Aires, where he also works at the Audiovisual Media Experimentation Center and Filming Set. He works in the areas of Photography, Video, Sound & Image Installations. His first shortfilm TWINS was nominated in the Student Academy Awards (http://www.oscars.org/saa). His latest works have participated in National and International festivals obtaining important prizes such as the Special Jury Prize at 36 VGIK, from Moscow Russia. He has also obtained a Mention in the 106th edition of the NATIONAL SALON OF THE ARTS, Palais de Glace, in the category Installations and Alternative Media. He has exhibited his work in International and National spaces, such as the Recoleta Cultural Center, Palais de Glace, National Palace of Arts, International Festival of Mar del Plata, Buenos Aires, Argentina. Valencian Institute of Modern Art (IVAM), Spain. Selected as Director at Berlinale Talents BA (2017). Participated as a Jury at the CIBA CILECT International Festivals and at the FADU Design Biennial. 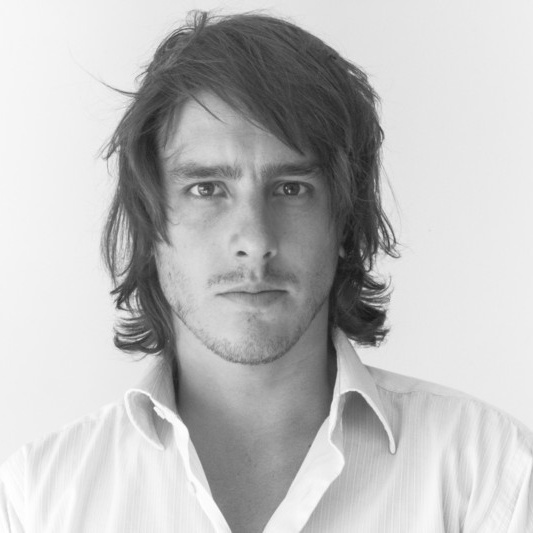 During 2018 he made a short film in the Peruvian Amazon under the tutoring of Werner Herzog.